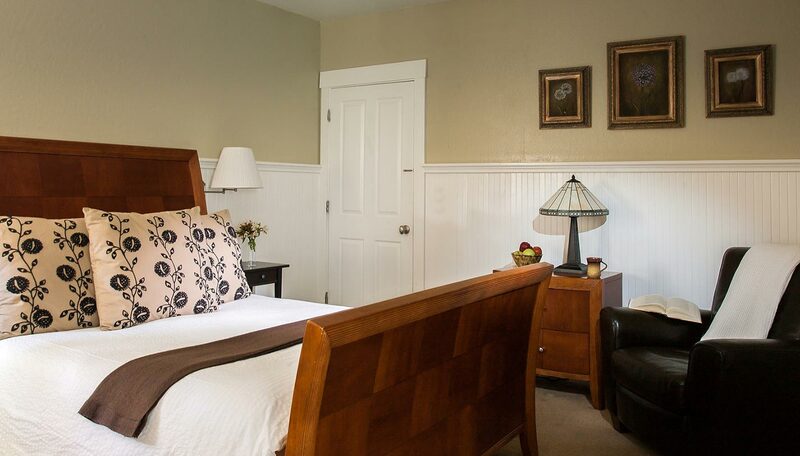 Upstairs at the side of the Craftsman Inn, the Diamond room has a sumptuous pillow topped king bed and is the perfect romantic oasis. Maximum occupancy two people. 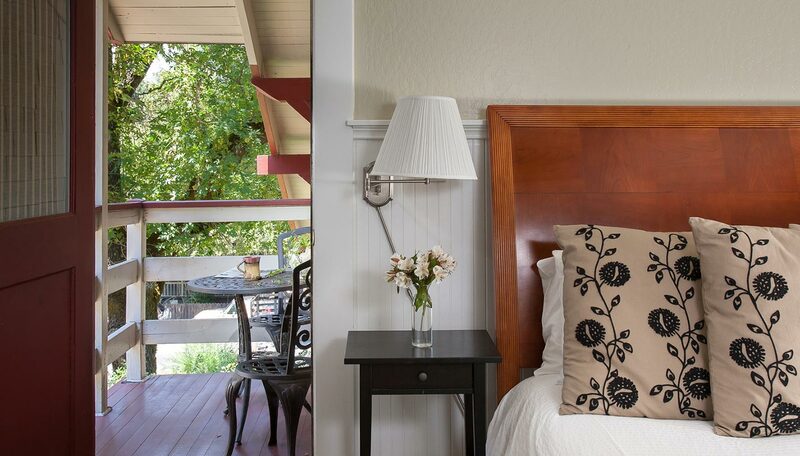 Step out onto your intimate private upstairs porch and enjoy a glass of fine Napa Valley wine. Relax in the comfy chair while you catch up on your reading or enjoy a movie on your flat screen TV, thoughtfully placed in the period built in cupboard. 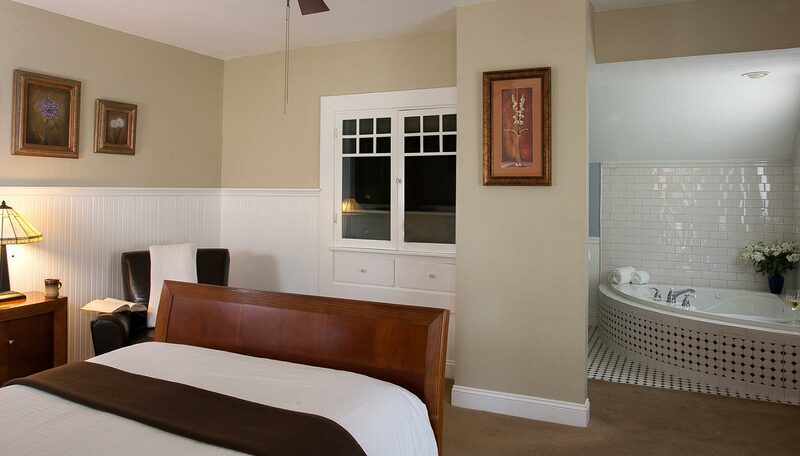 Pamper yourself and your partner with a private massage as a relaxing prelude to an evening of romance. 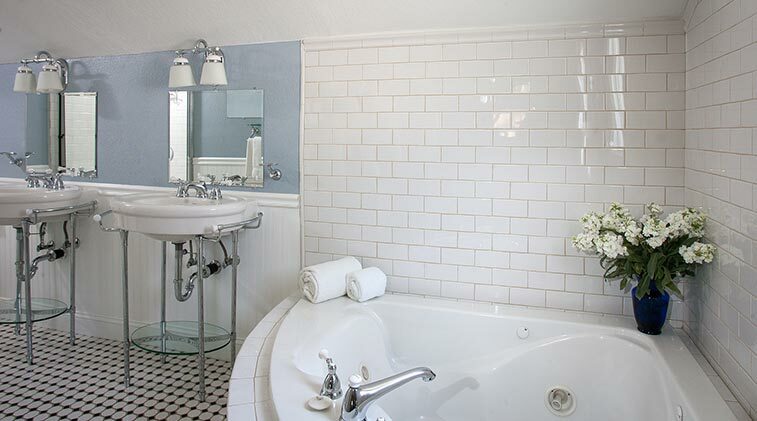 Then light the candles and slip into the corner Jacuzzi tub in your sumptuous, period tiled, bathroom with his and hers sinks and a large separate shower. "Enjoyed the warm homey feeling and food. We will be back." 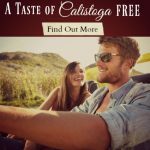 Join us in our Calistoga inn, a luxurious bed and breakfast in Napa Valley.